I don’t always get to see snow, but when I do, I am so happy to capture an image that depicts a winter day. We still have some colorful autumn leaves hanging on for dear life, but wintertime is here! Submitting for December Squares and Cee’s Fun Foto Challenge: Close Up or Macro. I agree with the other comments about that photo making a stunning Christmas card, Terri. Seeing snow on pine always looks refreshing to me. I can smell the clean, fresh air just by looking at the photo. Aww, thank you, Hugh! I was happy to snag that shot in Spokane when it got its first snow of the season. I’m happy you were there when it snowed, Terri. I’m still waiting to see my first snow of the season. Sometimes we have to wait until March until we see any. I read somewhere that the UK has had more White Easters than White Christmases. Beautiful photograph, simple yet striking. That is so beautiful Terri!! Thank you for sharing! I hope you’re having a wonderful weekend. I spent some time in your state today. Thank you, Maria, do tell! Beautiful day in Sacramento yesterday…cold and sunny! Awe, those are the best days!! Fantastic photo, Terri. And, I love the signature as well. 🙂 I bet you’re starting to look forward to your RV adventure south. We are in San Diego right now for three weeks and so far, so good! Upper sixties. Have a nice weekend. Thanks, Liesbet! SD sounds good, will be there in two weeks! Enjoy your time there! Thank you, Carol, you are so kind! Great photo, Terri. I agree it would make a great Christmas card. Makes me feel chilly. Gorgeous photo, Terri. And snow is beautiful! 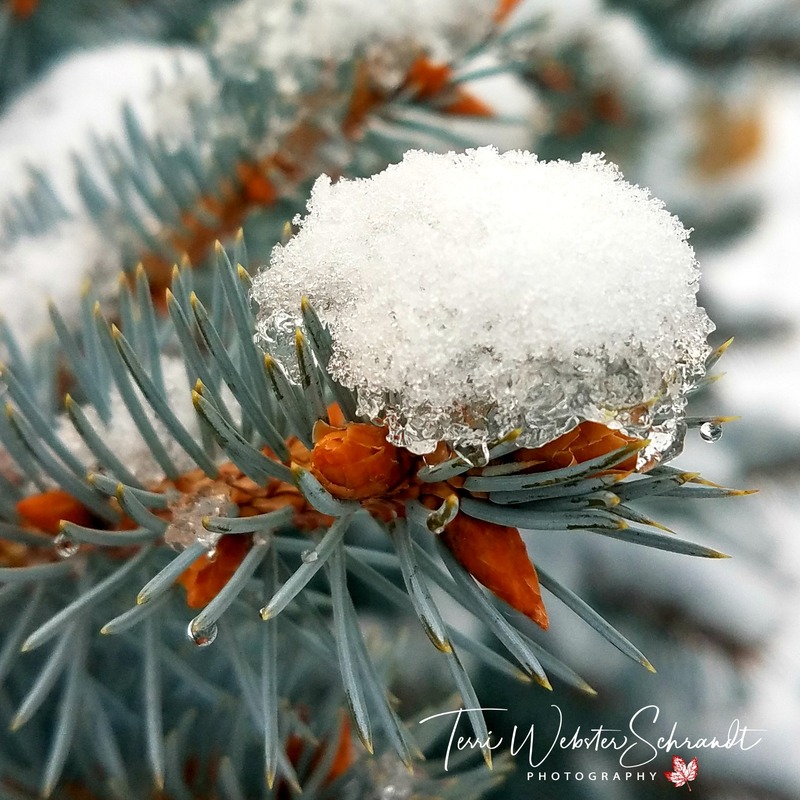 This is an incredible winter photo, Terri, different from the usual and yet perfect for the season. Can’t believe it’s been taken with your phone – you should submit to Samsung – bet they’d love it. Thank you, Shari! It was too cold to drag my regular camera along for the walk in the 29 degree temps. Had to take the gloves off, too, Brrr…the things we do to get a photo! Thank you, Cee, that is high praise coming from you!! Lovely photograph, Terri. You are so lucky to have snow. Thanks! I had to fly to Washington State to get that shot, Robbie. Otherwise I have to drive 60 miles up into the Sierras for the snow. I have only seen snow twice in South Africa. I saw a lot of it in South Korea and the UK but that is different. Stunning! That shot would make a great Christmas Card! My Samsung Galaxy Edge is quite amazing, thank you Alice! That is absolutely perfect, Terri. It makes me want to venture out next time it snows and recreate this!! Thanks, Jodie, itbturned out well! I used my phone on this one, really close up. You can do it, too!